Salsa is a popular dance music developed by Puerto Ricans in New York City during the 1960s and 70s, based on Afro-Cuban forms. By the 1980s, the Colombian metropolis of Cali emerged on the global stage as an important center for salsa consumption and performance. Despite their geographic distance from the Caribbean and from Hispanic Caribbean migrants in New York City, Calenos (people from Cali) claim unity with Cubans, Puerto Ricans and New York Latinos by virtue of their having adopted salsa as their own. 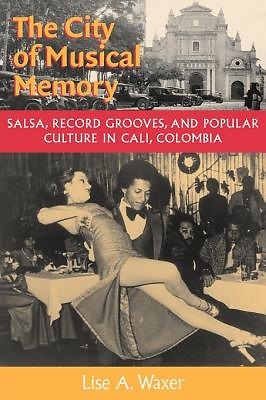 The City of Musical Memory explores this local adoption of salsa and its Afro-Caribbean antecedents in relation to national and regional musical styles, shedding light on salsa s spread to other Latin American cities. Cali's case disputes the prevalent academic notion that live music is more "real" or "authentic" than its recorded versions, since in this city salsa recordings were until recently much more important than musicians themselves, and continued to be influential in the live scene. This book makes valuable contributions to ongoing discussions about the place of technology in music culture and the complex negotiations of local and transnational cultural identities."